You've seen the rest, now prepare for the best karts and classes in Mario Kart 8 Deluxe. Mario Kart 8 Deluxe has finally launched, and players have eagerly dived headlong into the game's massively-impressive kart-racing action. 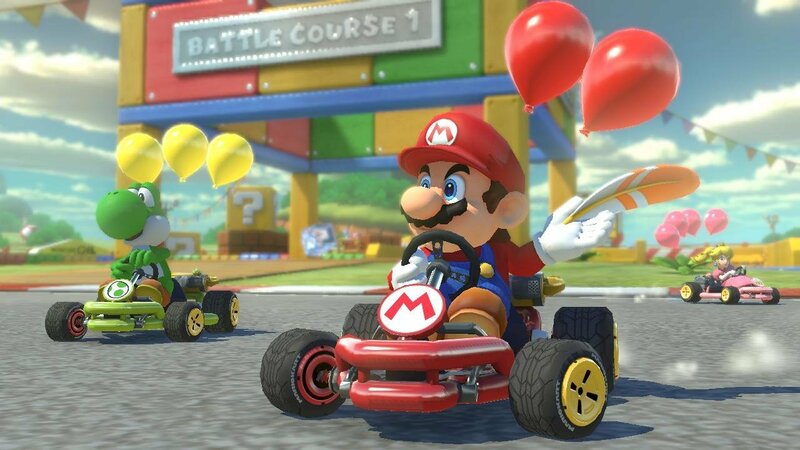 There are loads of available character, kart, and class combinations to be found, which has left many players wondering which karts, tires, and characters are best-suited to knocking out the opposition and earning a podium finish. Well no worries, because we've got fresh tips to help players find the best kart in Mario Kart 8 Deluxe. • Light-classed characters have the lowest weight and best acceleration, but have low top-end speed and tend to get knocked around easily. • Medium-classed characters strike a balance between acceleration, weight, and top speed, but don't have the acceleration of Light racers nor the stability of Heavy racers. • Heavy-classed characters have low acceleration and (obviously) the highest weight, but they make up for the slow uptake with high top-end speed and impressive staying power. Since choosing a class means being locked into a certain play style, it's best if players try out a few different characters to find one that suits their racing habits. Once a favored character is found, players can start looking into decking out their racer's kart. • Heavy racers tend to be the best bet for their overall top speed and increased resistance to shells and other obstacles. They're slow on the upstart, but players confident in their abilities and knowledge of the track should have little problem clocking fast lap times with a Heavy racer. • Acceleration-based upgrades make for particularly good choices, especially for Heavy-classed racers. A boost in acceleration negates the slow uptake of Heavy racers, effectively canceling out the class' worst attribute. • Slick and Slim tires give the best performance by a considerable margin, and are recommended for nearly every course in the game. For select others, like Dry Dry Desert or Shy Guy Falls, Cyber Slicks come more highly recommended. • When it comes to the best overall kart in Mario Kart 8 Deluxe, most players choose the Pipe Frame kart. With that said, loads of race results from Mario Kart 8 for the Wii U show that the fastest choice for racers is the Sport Bike. 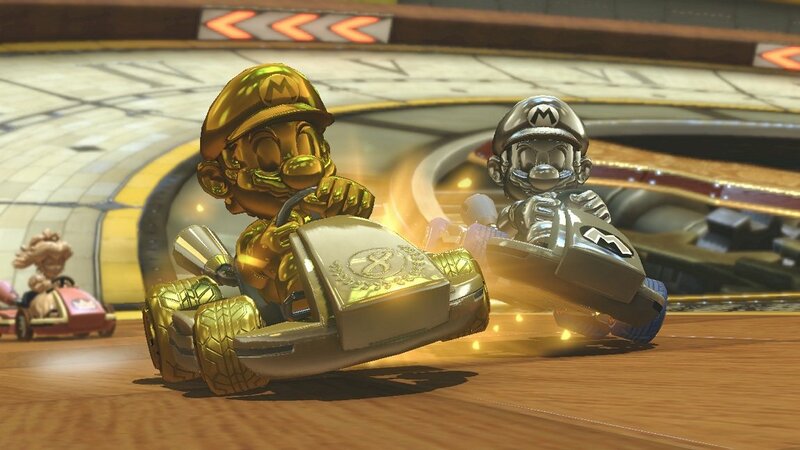 The only other kart that comes close to these two is the Gold Standard. • Lastly, and perhaps unexpectedly, Wario is many players' choice for the best racer in Mario Kart 8 Deluxe. Players could easily opt for another heavy-classed racer like Morton, Bowser, or Mii Heavy, but Wario is the popular choice. On top of all of these choices are options for different gliders. For better or worse, there seems to be no discernable difference between gliders, and since gliding makes up such a small percentage of each available course, most players just choose the glider that stands out most to them. With that said, the Parafoil seems to be the most popular choice, whereas some players prefer the Cloud Glider for its slight increase to acceleration. That's it! 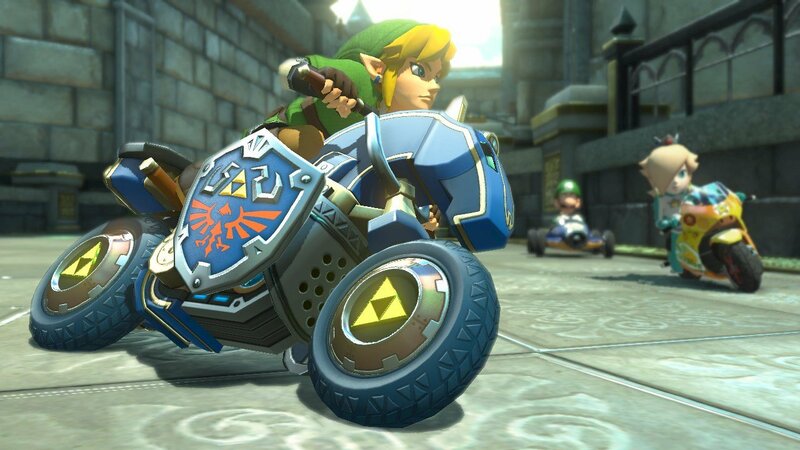 With these tips, players should be well on their way mastering all the twisting, turning, and flying goodness found across Mario Kart 8 Deluxe. Mario Kart 8 Deluxe isn't the only awesome game on the Nintendo Switch. We've got a specially-curated selection of gaming goodness available over on our list of the Best Nintendo Switch Games.